The Ultimate Guide to the Daniel Fast is an inspiring resource for Christians who want to pursue a more intimate relationship with God through the 21-day commitment to prayer and fasting known as the Daniel Fast. As you deny yourself certain foods—such as sugars, processed ingredients, and solid fats—you will not only embrace healthier eating habits, you’ll also discover a greater awareness of God’s presence. 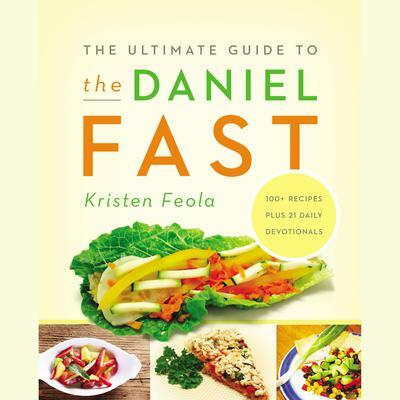 Author Kristen Feola explains the Daniel Fast in easy-to-understand language, provides 21 thought-provoking devotionals for each day of the fast, and shares more than 100 tasty, easy-to-make recipes that follow fasting guidelines.In a conversational style, Feola helps you structure the fast so you can spend less time thinking about what to eat and more time focusing on God. You will also discover that “to fast” means “to feast” on the only thing that truly nourishes?God’s powerful Word.For more info, please visit www.ultimatedanielfast.com.